The Ultra HD Blu-ray format, launched during an era when streaming services are eating into physical media sales, has posted impressive retail figures that compare favourably to the first few months of Blu-ray, according to US industry mag Home Media Magazine. The trade journal conducted research to show 228,000 UHD discs (from 45 titles) had been sold (presumably in the US) by the end of June, following the March launch. It noted that figures for Blu-ray sales for its first three months – back in 2006 – were a meagre 57,000. The figures will no doubt have boosted the confidence of studios releasing content on the UHD BD format that the Ultra HD message is getting through to consumers, and that initial marketing and content selection has been successful. A relative paucity of playback hardware – when the survey was undertook there were only two 4K Blu-ray decks available, Panasonic's DMP-UB900 (pictured) and Samsung's UBD-K8500 – doesn't appear to have harmed early take up either, and with the launch of the Microsoft Xbox One S, which supports playback of the next-gen discs, the industry will hope that the potential consumer base will grow. Good news, then, for physical media fans? Undoubtedly, but I think the outcome that some have drawn from this news – that UHD Blu-ray is proving more successful than Blu-ray in its early phase – needs a bit of analysis. Ultra HD Blu-ray has enjoyed a fairly uncomplicated launch, in that it's the only 4K disc standard around. 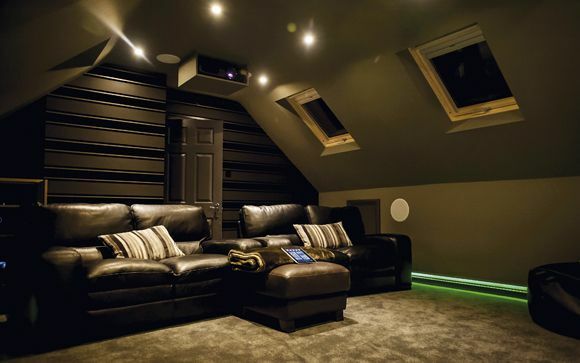 If you're a forward-thinking home cinema owner, you're going to buy it. Blu-ray, on the other hand, was launched into a market where a direct competitor – HD DVD – was already digging in (and digging in well, actually – the now defunct format sold around 250,000 players during its first eight months). Making like-for-like comparisons between Ultra HD Blu-ray and Blu-ray while ignoring the HD format war that dragged back the latter certainly seems a bit daft. And beyond this, there are other factors that could actually account for what is being deemed a good take up. Region-coding, for example, which was present on Blu-ray but has thankfully been jettisoned from its 4K successor. So UK buyers (or anywhere in the world) can import Ultra HD Blu-rays discs from the US, grabbing the likes of Deadpool and The Revenant in advance of their local release. This, surely, plays into those sales figures. Then there's the small matter of bundled copies. All Ultra HD titles come with a regular Blu-ray platter. Blu-rays, on the other hand, didn't then – and still often don't now – bundle a regular DVD. UHD releases are therefore a more tempting purchase. You can keep the 4K disc and give the 1080p version to your neighbour, or you could buy a release in advance of actually owning the playback hardware. Hardware! That's another fly in the ointment. My memory may be failing me, but wasn't there only one standalone BD player available during the format's first three months (the Samsung BDP-1000)? It sold for $1,000. The PS3 played BDs and was cheaper, but it was a games machine first and foremost. My point – I do have one, I promise – is that the early success of Ultra HD Blu-ray owes much to the differences between it and its ancestor. The industry has generally got things right this time around, whereas the Blu-ray launch was a fiasco. Does this mean we can expect to see sales figures continuing to be four times higher? I'd be surprised.